When an employer in the United States seeks to employ a foreign worker on a permanent basis through the PERM labor certification process, federal law requires that the offered wage not be used to undercut US workers. In this context, the offered wage must meet or exceed the prevailing wage for the position, as determined by the U.S. Department of Labor. What is a Prevailing Wage in the Green Card Process? The prevailing wage determination issued by the Department of Labor’s National Prevailing Wage Center (NPWC), establishes the minimum wage the employer must pay to the sponsored employee at the time he or she receives their green card. Obtaining a prevailing wage determination (PWD) for the sponsored green card position is a mandatory step that must be completed prior to filing Form 9089, the PERM Labor Certification Application. The employer is obligated to pay the sponsored employee either the prevailing wage or the offered salary, whichever is higher, at the time they receive their green card. The required wage must also be used during the recruitment portion of the PERM process. How is the Prevailing Wage determined in the Green Card Process? The NPWC will assign the position a Standard Occupation Code (SOC)/occupational title (similar to a job category) based on the job duties and requirements of the PERM position. The SOC will then be narrowed down further by the geographical location of the PERM position and by four potential wage levels; level I being the lowest wage and level IV being the highest. Any additional special license or certification requirement. If the education and years of experience required are greater than what the NPWC considers normal for the position, then the wage level will be increased by at least an additional 1 to 3 levels. Each additional duty or requirement that is not considered ‘normal’ for the occupation will also increase the wage by at least 1 level. Based on these considerations, the NPWC then determines the prevailing wage level for the position. Example: According to the NPWC, the normal requirement, for the occupational title for ‘Software Developers, Applications’ is a Bachelor’s degree and two to four years of experience. If the employer requires a Master’s degree or a Bachelor’s degree plus 5 years of experience in an effort to classify the position in the EB-2 green card category, then the wage will likely be bumped up to a level III or IV wage because the requirements are considered beyond that which is normally required for the position. What if the sponsored position has multiple worksites or is a remote position? If the sponsored position allows for the employee to work from home then the employer’s headquarters may be listed as the geographical location for the worksite. If the sponsored position has multiple worksites then a wage must be requested for each of those geographical locations, the highest of which must be used for the green card process. The NWPC issued a job (SOC) code that is a combination of occupations, which may result in a PERM audit requiring the employer to provide either a business necessity letter or proof that the employer normally employs people in this combination of occupations or that employers in the area of intended employment normally employ workers in the combination of occupations. In such a situation, the employer has several options. The employer can choose to 1) modify the job description and submit a new Prevailing Wage with the NPWC to obtain a lower wage level or different occupational title. The employer may also dispute the PWD by 2) appealing the PWD with the NPWC or by providing the NPWC with 3) a private wage survey that shows a lower, more acceptable wage. To appeal an incorrect job code or wage level, the employer must demonstrate that the duties and requirements of the sponsored PERM position instead match the requested job code, or that they are considered normal for the occupation title and therefore should be awarded a lower wage level. The employer must include a mapping of levels of the surveyed position. How long does a Prevailing Wage request take to process? The processing time for a prevailing wage request can vary anywhere from a few weeks to a few months to receive a determination. 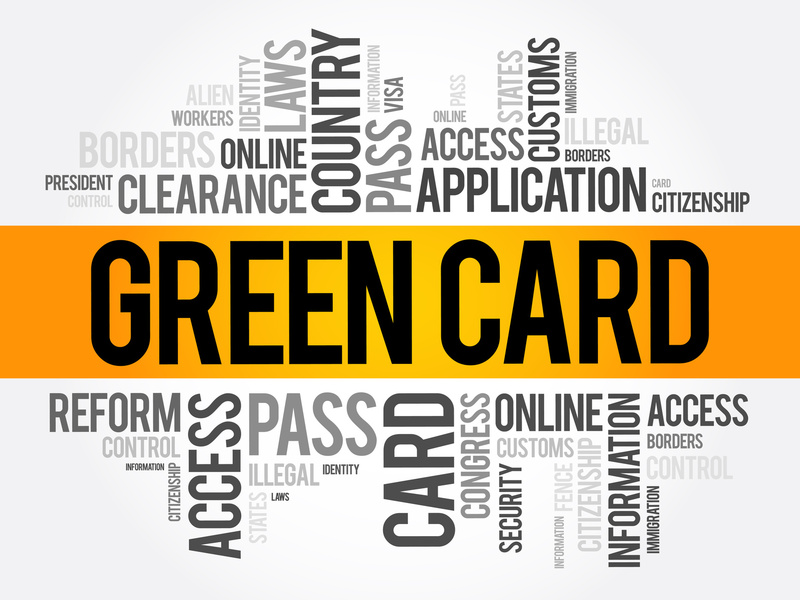 The attorneys at MMHPC handle all aspects of employer-sponsored green cards and are able to assist both employers and employees in the process. If your company is interested in sponsoring an employee, or if you are an employee hoping to be sponsored by your employer, and you have additional questions about the process, please contact us.